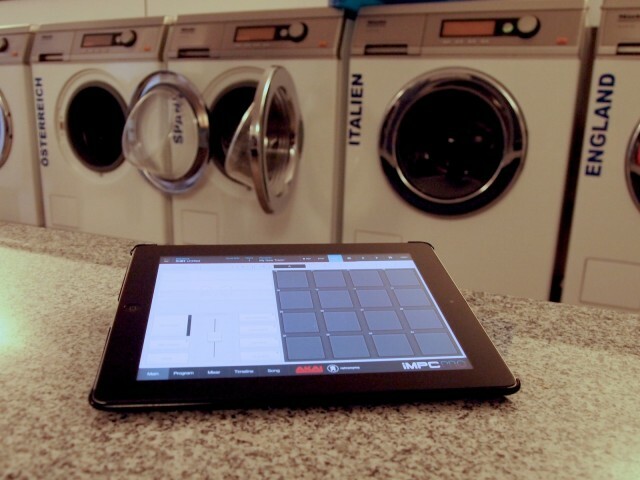 It’s an MPC you can take with you to the laundromat. Can you squeeze an MPC onto an iPad? Years later, the MPC still represents a comfortable way for many people to get producing music quickly, across a variety of genres. What began as the constraints of a few physical pads led to a way of working that, at least for some, can unlock creativity. So even though the iPad looks nothing like the original MPC, the tablet’s mobility and its emphasis on sampling make the MPC approach a good fit. 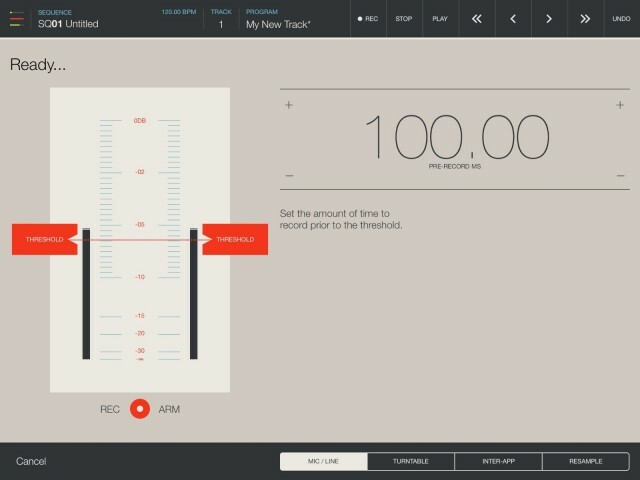 Akai’s iMPC Pro isn’t the first app to try to get MPC-style workflows on Apple’s tablet. But the “Pro” in the new version of iMPC does fit a lot of powerful sampling features into something you can use on the go. 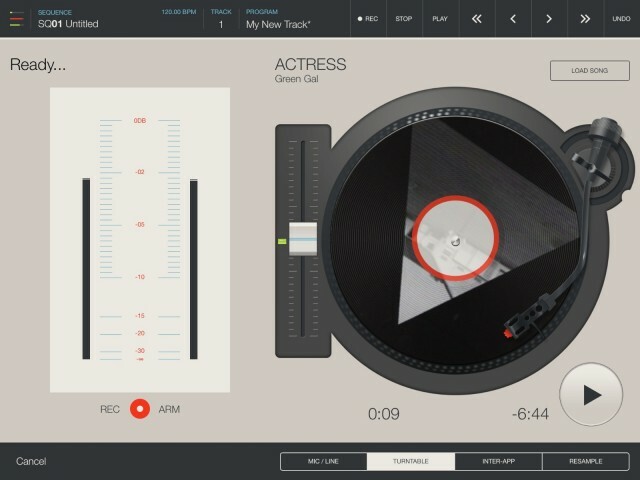 It sits somewhere between the nearly-a-DAW, do-everything approach of Intua’s BeatMaker 2 and the more slimmed-down Native Instruments iMaschine for iPad. And what it does exceptionally well is load a lot of sounds and combine them with MPC-style performance options – even if you only use the touchscreen. The app launches right now, but I’ve had a chance to take it for a spin and get some first hands-on impressions. I can tell you straight away that the app doesn’t deliver everything on everyone’s wish list. But fresh design will make up for that for some. 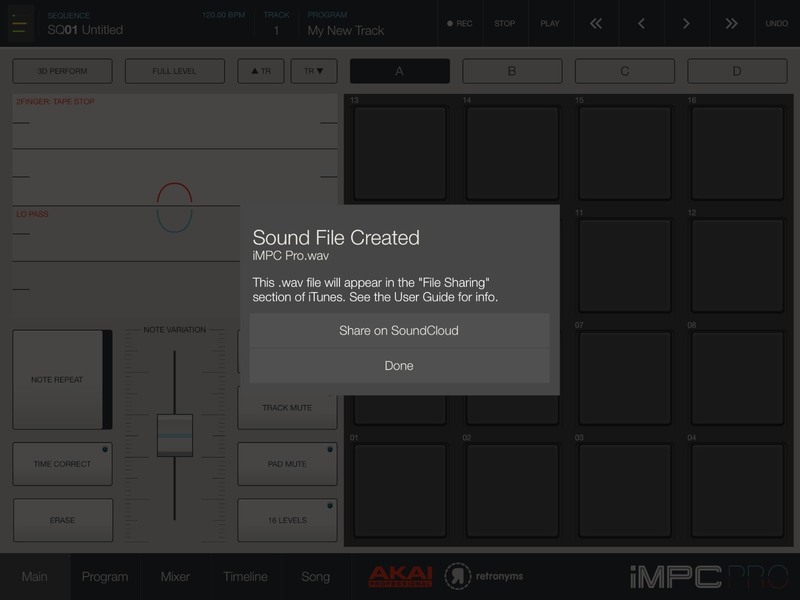 Sampling, iOS style: use any Inter App Audio-compatible app as a source, easily. 64 tracks, organised on those familiar pads, for sampling, pattern-making, automation and mixing. Sampling, slicing, effects, and audio routing, with multi-touch controls for edits and performance. 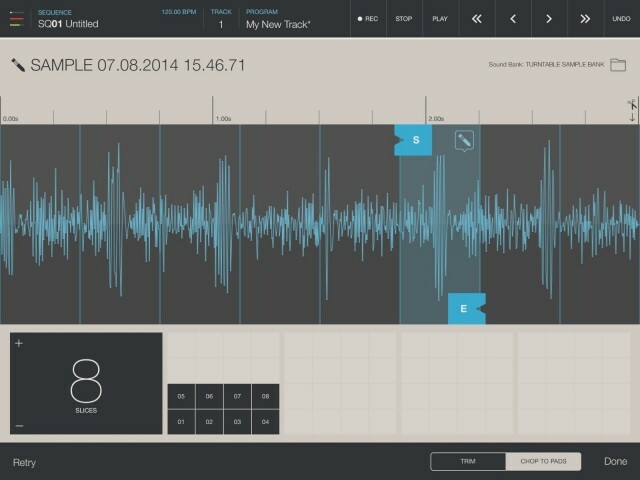 Inter-App Audio support so you can use iMPC Pro to capture the sounds of other iPad tools. MPC Swing, Note Repeat, 16 Levels, and familiar pad-based editing from the MPC hardware. A big sound library, including 1400+ samples from Richard Devine. Support for MPC Element, MPC Fly hardware if you want physical pads. Effects: Turbo Duck side-chain compressor, Boom Room reverb. Performance options: Precision Knobs and Faders that let you use your fingers to “zoom” in on parameters, Flux Mode to automate effects with X/Y touch. Share via SoundCloud, Twitter, wav export to your computer. Now, right away, you may notice some things missing – as I know readers asked specifically about these features as AKAI and Retronyms were teasing the app. There’s no Audiobus support, either – only Apple’s new Inter App Audio, which isn’t quite as well supported (yet). File exchange is limited to WAV files – you can bounce patterns, but that’s it. You don’t get MIDI export (as in BeatMaker), or project file exchange with a computer app (as in Maschine and iMaschine – even if you use AKAI software). You don’t get MIDI with other apps or MIDI sync or WIST (KORG’s inter-app sync) options, as in BeatMaker. In short, BeatMaker remains the gold standard for interoperability. Instead, think of iMPC Pro as a companion to Fly and Elements for those who want integrated hardware, and as a strong standalone option with robust sampling capabilities and an exceptional sound library. Also, the MPC-style pad controls make many operations a whole lot faster, and they pair really nicely with touch controls – in case you don’t want to bother with something like the Fly or Element. With 16 Levels, you can control a parameter across the 16 pads. There’s also Note Variation, which allows you to control parameters with a fader. Using those two options, you can add nuance to your performances even if you don’t have access to velocity-sensitive pads. It’s also great to have MPC-style swing and note repeat handy, and the X/Y effects are terrific. The other strong suit here is clearly the sound selection. You might feel a bit like you’ve been dropped into Richard Devine’s studio, with a broad selection of great-sounding pads across genres. With four banks each, you aren’t overly restricted in what you can make, either. It’s pretty extraordinary just how much breadth is packed into the download. The developers at Retronyms have also produced an app that’s pleasing to look at. The flattened iOS 7-style graphics clear a lot of visual clutter, and this is perhaps the nicest-looking iOS drum machine yet. Some of the edit options get a bit confusing: iMPC seems unsure of whether it’s trying to behave like software (as in the sampling and slicing screens) or hardware (hiding other edit features under hardware-style buttons). And that isn’t just conceptual – it’d be nice to layer more performance options in playing, but it’s not possible to use the Note Variation at the same time as one of the effects, and so on. Still, on balance, this is a very approachable app. Let’s take a visual tour to see how it all fits together. You’re first presented with an on-screen tour. iMPC is a very discoverable app – you’ll find most functions right away. Skeuomorphism just won’t die when it comes to music. Yes, you get these silly floppy disks for project management. 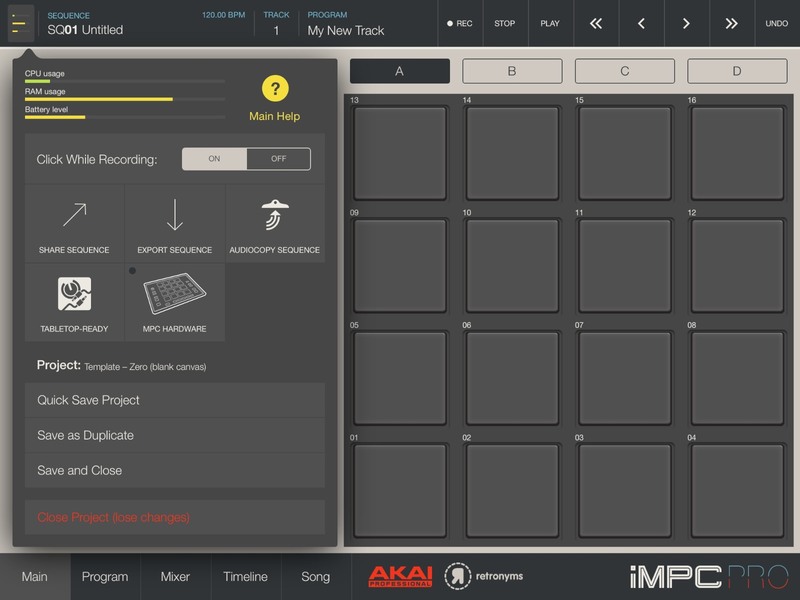 iMPC does offer a wide range of sounds and templates to get you started, though, and you can always begin with a blank session – perfect for sampling. Edit options are tucked away in the corner. Unfortunately, file exchange is fairly limited. There’s Audiocopy support (missing in iMaschine), and you can export to audio for your computer. 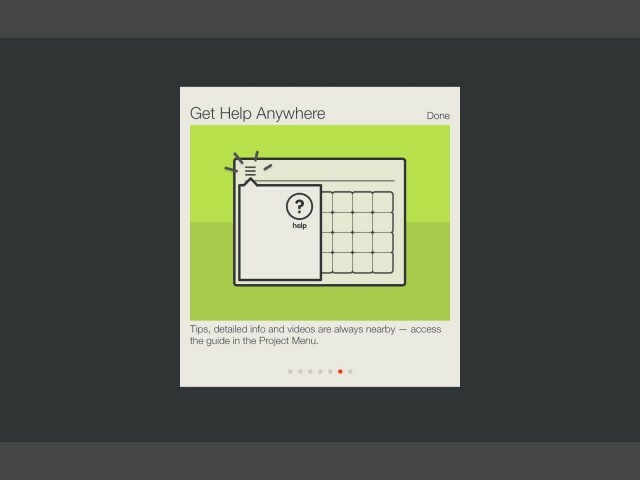 There’s also integration with Retronym’s Tabletop. But MIDI is missing, and you can’t use iMPC Pro with, say, AKAI’s desktop software. 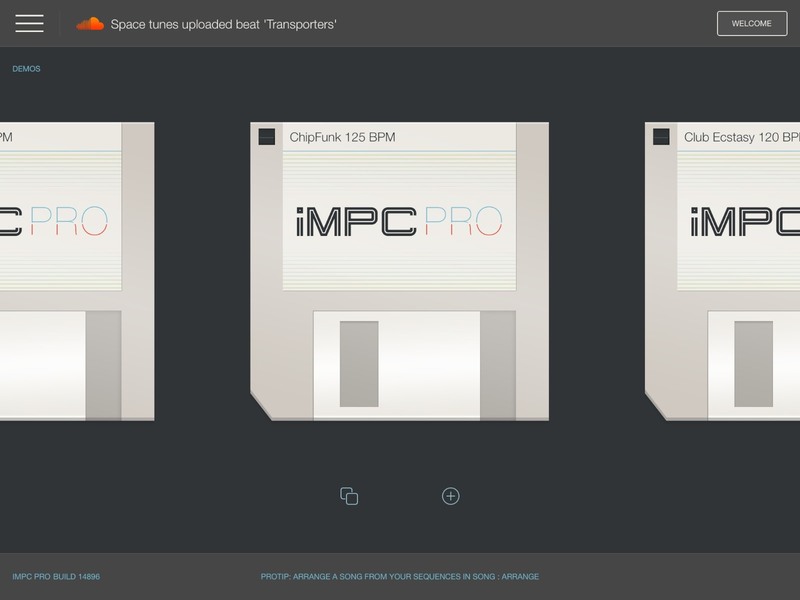 If you do want to use iMPC as a sketchpad, export to WAVE is your best bet. 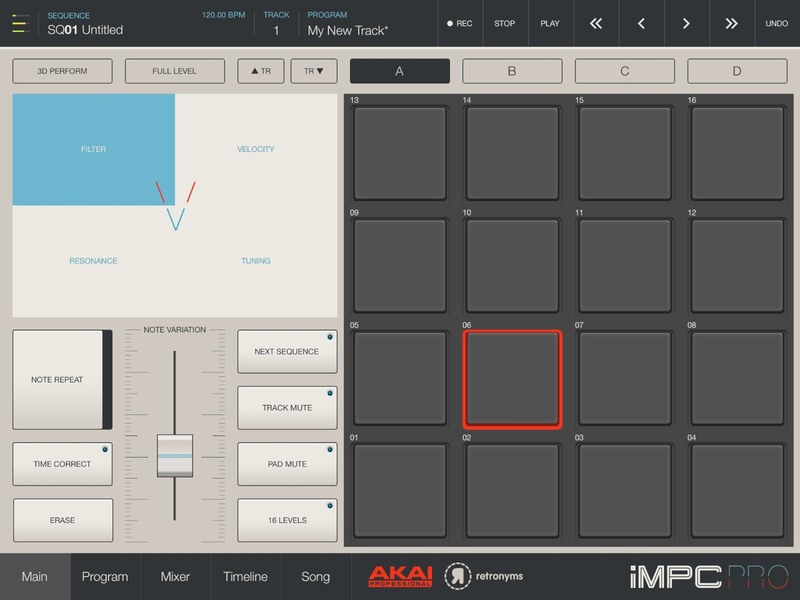 It’s really the pad controls where iMPC is most powerful – and where it’s most indebted to MPC hardware. On the bottom left, you get MPC-style pad options that help you add details to performances and patterns – even if you don’t have velocity-sensitive pads connected. On the top left, you can add live effects using multi-touch gestures. Variation controls let you use the fader at the bottom to control details of your pad performances. It’s powerful, but it also reveals iMPC Pro to be a bit conflicted in how it wants you to play. Are you using hardware-style buttons, or X/Y controls, or hardware-style faders with things at the top left that act more like buttons? 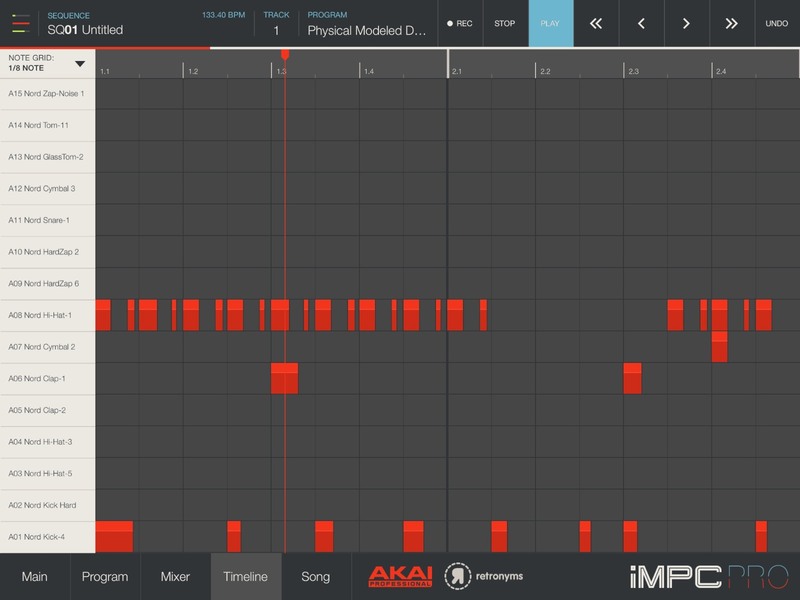 You don’t get the full-blown DAW editing you find in BeatMaker 2, but iMPC Pro does have advanced pattern editing and 64 tracks – still quite a lot of power in a mobile app. Dive into individual program controls on the pads, and you can add beautiful-sounding effects and other fine-grained controls. 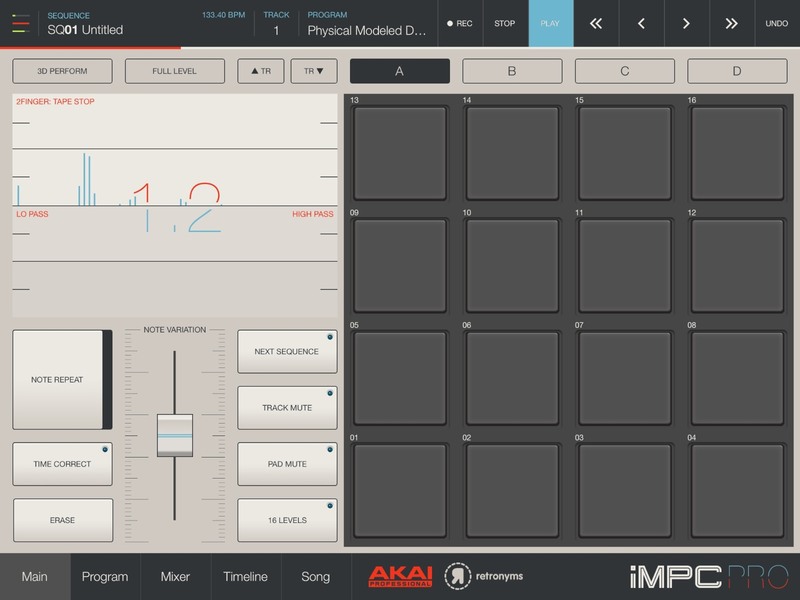 Sampling is really what makes these apps fun for a lot of us, and iMPC Pro has a convenient sampling feature that puts it on par with iMaschine – then takes those samples and lets you play them via its excellent pad performance interface. Sampling works with your iTunes library, too. Slice and dice and edit pads quickly, either choosing in and out points alone, or dividing a sample across your pads. Just be aware that to hear the results, you’ll need to tap the controls at the bottom of the screen. At that price, there’s no real reason to complain. iMPC Pro has a lot to offer in the way it treats sampling and pad performance, and it sounds great, and it works well with Retronyms’ own software and AKAI’s hardware as well as any app that supports Inter-App Audio — I’d buy it just for that feature alone, even if only to use to sample those apps. 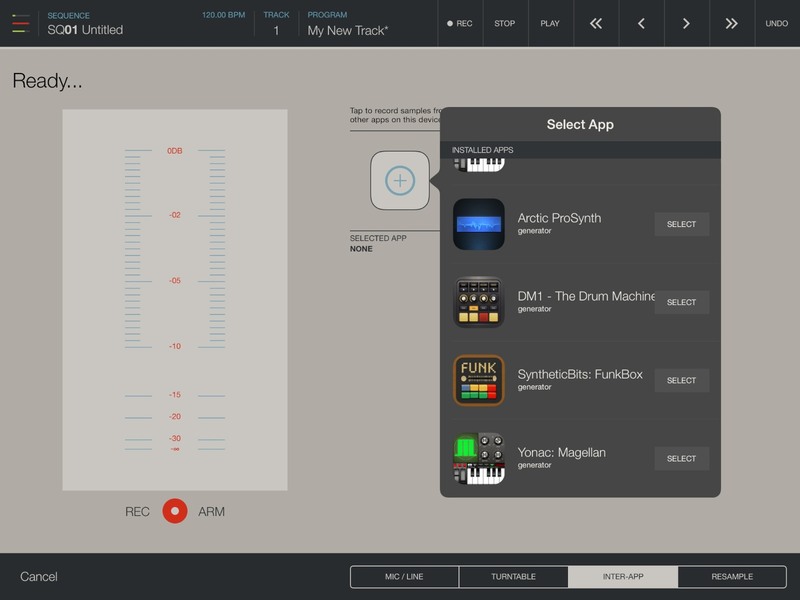 Native Instruments and Intua, meanwhile, retain their niches. If you really want an all-in-one mobile workstation, BeatMaker 2 remains the app to beat. And if you want a quick mobile sampler, or you want a mobile sketchpad to use with a desktop app, iMaschine (with Maschine) is a winner. Updated: Yes, readers are right – I should add Nanostudio. The app that was on the scene first also scales to old devices (even first-generation iPad and older iPod touch and iPhones left behind by these others). MIDI file import/export is there, Audiobus, third-party MIDI (even using Line 6’s MIDI Mobilizer), and more, and it adds a powerful sequencer to the usual complement of sampling and drum machine functionality. 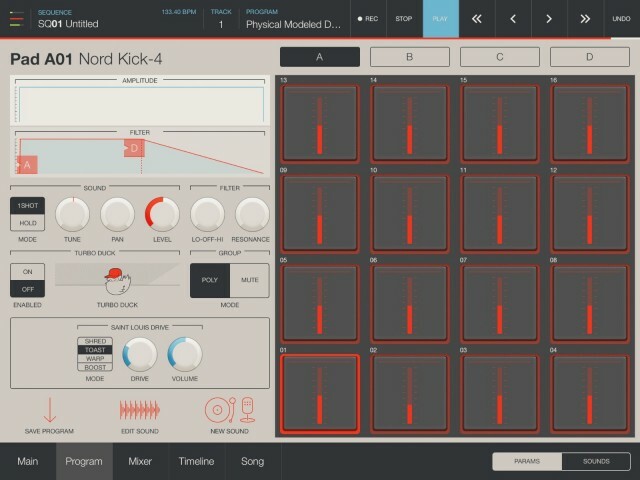 Here’s an irony, in fact: Nanostudio has better support for Akai hardware (like the Synthstation) than Akai’s own app. And when you’re done on mobile, you can use Nanostudio on Windows and Mac, too. Whichever you choose, the ability to work with samples and patterns like this on the go is a real winner – even if the serious work on arrangement and sound design means returning to your laptop. And all for the price of dinner. — even if I keep wishing for more sync and interoperability. I’ll be curious to hear how you wind up using this if you give it a go.